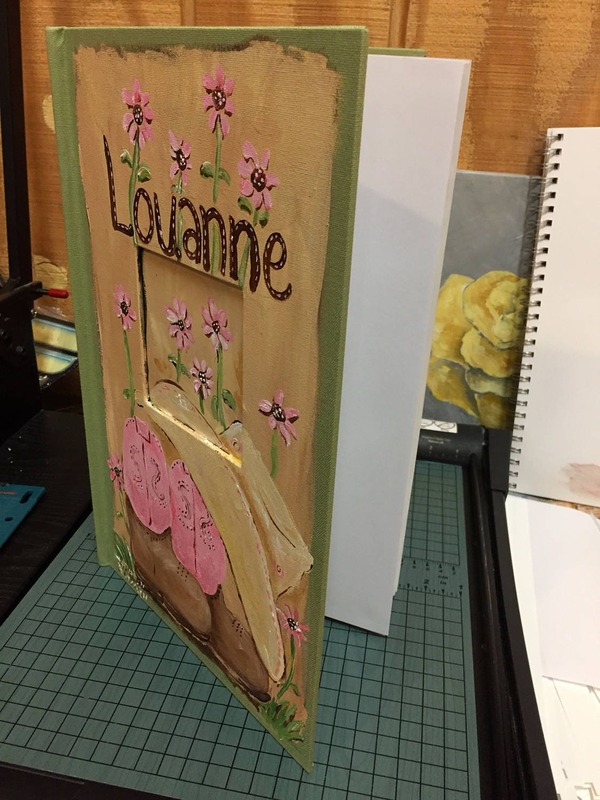 Cute Hand painted and personalized photo album. 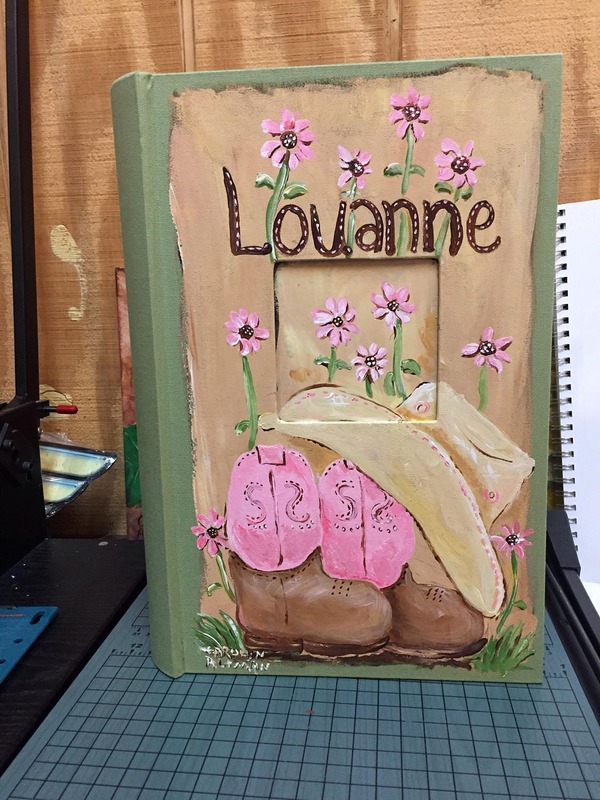 The one in the photo has a hand painted cover of a cowgirl hat and boots with pretty pink tops. The hat and boots are sitting in a field of pink flowers. The album cover is also personalized. 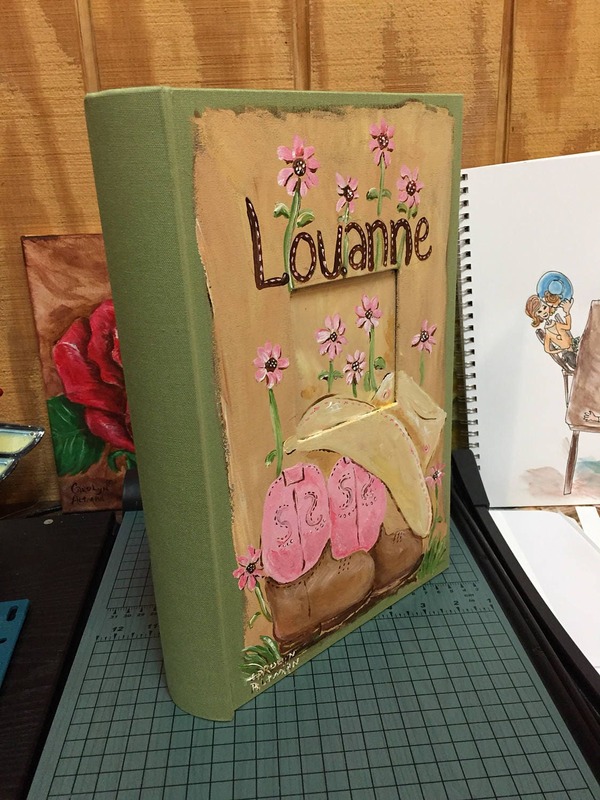 As show, this painting is done on a sage green photo album that holds up to 300 4x6 photos. There is a space by each photo for labeling. Album covers are available in black, red, light and sage green. Message me in an Etsy conversation and if you would be interested in a design other than the cowgirl hat and boots. I will gladly see if your idea is something that I may can paint!